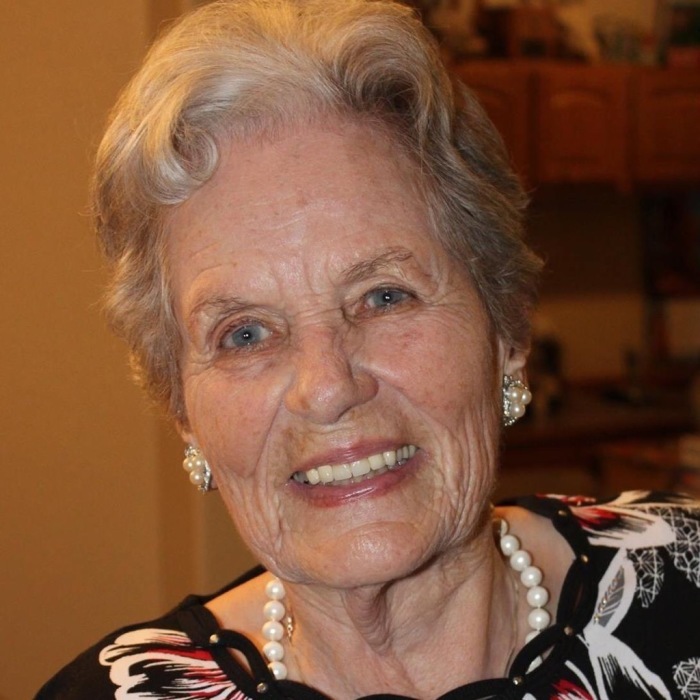 Vivian Eldora (Spooner) Peters, a devoted farm wife and homemaker, passed away suddenly in her beloved Ledger farm home on April 1, 2019. The daughter of Alphonse & Agnes (Haworth) Spooner, Vivian graduated from Shelby High School in 1946, marrying Lester (Bud) Peters in 1947. They were married for 63 years, raising 4 fortunate children on the farm. Together they were the house of entertainment, always providing family and friends with a cold drink, hot meals and lots of laughter. Vivian and Bud were known far and wide for their association with the Montana Model T Association, racing in over 30 Montana Endurance runs and attending numerous antique car-touring events. Viv and her Ledger friends loved “blue birding”, setting up birdhouses all along the Marias River, and they still continue the tradition today. She was an organized historian and bookkeeper, saving stacks of articles to share with everyone. Vivian was a devoted wife and mother, supporting her kids’ academic, artistic, extracurricular events at Central School, Shelby High, Montana State, and in their individual careers. Vivian was known as the “fun Grandma”, sitting hours playing cards, games, or solving puzzles with her grandchildren and great grandchildren. She was the queen jokester and loved pranking her family through the years. Vivian was preceded in death by her beloved husband, Bud Peters, and her brother, Barry Spooner. Vivian is survived by her 4 children, Susan Thorp of Cut Bank, Sandra Simons of Shelby, Sally (Rick) Aschim of Sunburst, and Terry (Julene) Peters of Ledger; her 11 grandchildren, Rhonda Grainger (Cut Bank), Patrick (Shelley) Simons (WA), Marilee (Jonathan) Newman (Bozeman), Heidi (Pat) Cotter (Helena) , Ryan (Elyssa) Thorp (WA), Richie (Janelle) Thorp (WA), Cassie (Mack) Andrews (Ledger), Rhett Aschim (Great Falls) , Steven Peters (ID), Whitney Aschim (Chester), and Brett Peters (Ledger); her 6 great grandchildren, Madison Simons, Paige Simons, Gage Clothier, Ava Simons, Addy Cotter, Vivian Newman plus 3 more are on the way; Viv’s siblings, A.H. Bob (Maureen) Spooner, Juanita Hasquet, Chuck (Cathy) Knapp, Anna (Marvin) Hamman, John (Craig) Spooner, and Raymond (Eric) Spooner. Memorial services will be held Friday, April 5, at 2:00 PM at Pondera Valley Lutheran Church in Conrad. A reception at the Conrad Moose Lodge will follow the service.